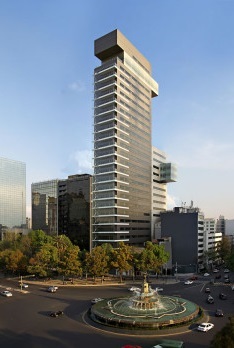 AM Best's Mexico City office is situated in the Corporativo Reforma Diana Building, on Paseo de la Reforma, the most emblematic avenue in Mexico City. Paseo de la Reforma avenue has witnessed many historical events, is considered the backbone of the city, and houses many of the cities monuments, offices, hotels, and more. The nearest metro train station is Sevilla. This metro stop takes travelers to Sevilla Street, as well as the Corporativo Reforma Diana Building, located in front of the Diana Cazadora monument. Taxis: Cabs can be hailed on the street or picked up from the airport or a hotel; a taxi depot is also located at the main entrance of the nearby Marquis Reforma Hotel. It is also recommended travelers request Uber taxis via their mobile devices. Learn more about Uber, sign up for an account, and get the mobile application.